This day comes when waning or waxing moon is in its 11th day of its 15 days cycle. Why did sages and our ancestors insist fasting only on this day? Why not on any other day like 7th or 8th ? Astrologically moon revolves around earth at the rate of 12 degrees per every 24 hours. This period of 12 degree travel is called a tithi. Moon when at 180 degrees away from Sun forms Fullmoon day and when conjoint with Sun forms Newmoon day. 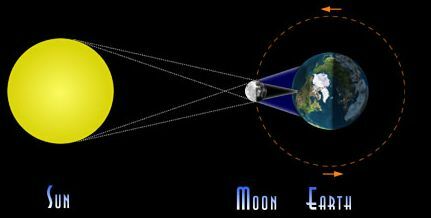 During these 2 cycles we have already seen many instances where newmoon and fullmoon shows its impact and magnetic power of sea tides and human minds. Because human body is 80% water, its always under the influence of moon. It is also stated in Garuda Purana that all 7 oceans are in human body itself. That is the reason behind moon being treated as mind controller in astrology. ” …. After collecting statistics on planes, I saw that the moments at which they had disappeared as distinct from ships, these are established with a precision of one – had something regularly about them. Related to astrolomical phenomena or more precisely to the position in regard to each other of the Earth the Moon and the Sun. On 11th day of each cycle moon forms trine with earth or sun. So, to avoid all these complications , its important to clean our digestive system on every 11th day of lunar cycle. This helps our digestive system to clean up all the food and mess in our body till 10th day and adjust itself for the next 10 days of lunar influence. On this day fasting should start with having only water(mixed with a pinch of salt and lime juice if possible). Adding 1 spoon of salt + 1/2 slice lime juice in 2 litres of water and consuming only that throughout the day will flush out remainings in intestines and also prepare stomach area for next 10 days of stress. Its important to clean stomach and intestines before fasting to make sure leftovers don’t cause any complication.